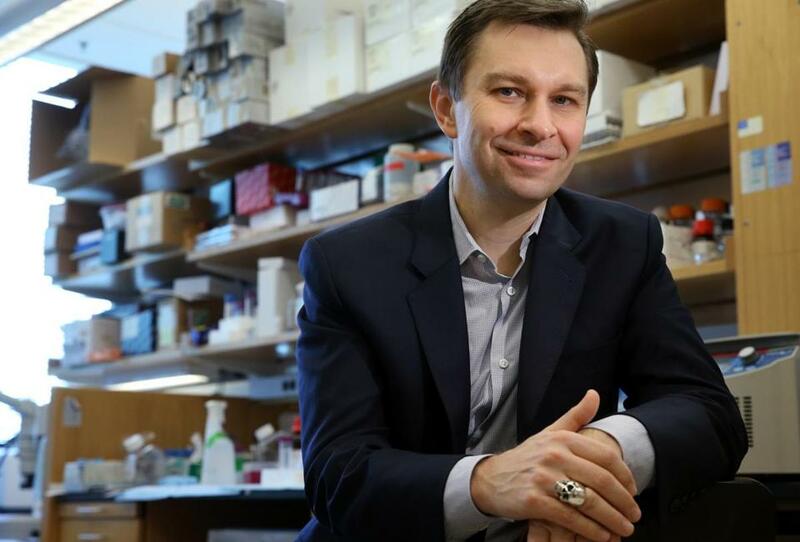 Harvard scientist David Sinclair is a founding member of the Academy for Health and Lifespan Research. Sixteen of the world’s top longevity scientists have formed a Boston-based academy that will seek to spotlight medical research on extending human life and developing drugs to slow the aging process. The nonprofit Academy for Health and Lifespan Research will host forums to share research findings. It will also lobby governments in the United States, Europe, and elsewhere to increase funding and create new paths to approve age-slowing therapies. Because aging is still widely viewed as a natural process rather than a disease, it’s not recognized as a treatable condition by the Food and Drug Administration and regulatory agencies in other countries. They currently review only drug candidates designed to treat specific disease classifications, such as cancer, heart failure, or Alzheimer’s. But scientists in the emerging longevity field — sometimes called geroscience — contend the best way to treat all of those diseases and others is to attack aging itself as their root cause. Through a variety of approaches, from killing “zombie cells” that cause age-related maladies to boosting levels of a key protein to increase blood flow and endurance, they’re working on ways to extend the human lifespan and compress the period of chronic illnesses at the end of life. Harvard scientist David Sinclair, one of the academy’s founding members, said such research has been happening below the radar for years and it’s now time to take it public. In addition to government regulators, he said, the academy’s target audience will be physicians, health insurers who pay for new medicines, as well as the general public. Sinclair has also co-founded a Boston holding company called Life Biosciences that’s launched seven biotechs developing treatments for age-related conditions like dementia and infertility. Another founding member of the academy is Lenny Guarente, a Massachusetts Institute of Technology professor and chief scientist at Elysium Health, a startup working to identify naturally occurring compounds that will help people live longer. Setboun, the French-born Academy president, is a pharmaceutical industry veteran who formerly was Biogen’s managing director in France and taught at Harvard Business School. Setboun, who’s now based in Newton, said the idea for the academy grew out of a series of informal discussions among longevity scientists at scientific meetings. To assure that new age-extending treatments can get to patients quickly, Setboun said, nations must be prepared to increase basic research funding and create a smoother regulatory process to evaluate new drugs. By now focusing on developing treatments for patients already struggling with diseases, “we’re trying to solve problems when it’s too late,” he said. Founding members, who have already begun talking to health ministers and drug regulators in several countries, will convene an organizational meeting in Paris this summer. By 2020, they hope to host scientific meetings where they can present research data and even sponsor what Sinclair calls a “Davos-style” conference of world leaders to lay out their vision of boosting economic productivity and reducing medical costs by extending healthy life. Setboun said members are working on a white paper to be published in a scientific journal. It would explain the social, medical, and economic benefits of aging research.